Running Artifact Lands in Kozilek EDH? Sticking with the splash of black for now as I think it makes the sideboard way stronger for this deck. I found some post MNBL Tournement analisis from Brian Braun-Duin if anyone is interested. 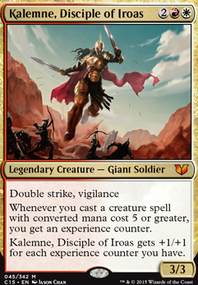 He was the pilot od the 2nd place U/W Miracles deck in the tournement posted ealier by ToolmasterOfBrainerd. here are some quick bullets i found from his article that i noted. "cards like Glimpse of Nature , Skullclamp , Deathrite Shaman , Gitaxian Probe , and Rite of Flame are very powerful cards that would be risky to unban, but they didn't put up a great showing in this event because they were either outclassed by even more broken strategies or because they were held in check by Mental Misstep ". 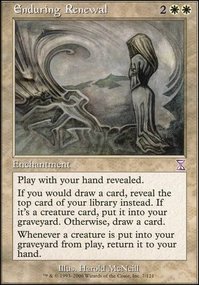 "in many ways Misstep was the card that allowed No Ban List Modern to function as a format. 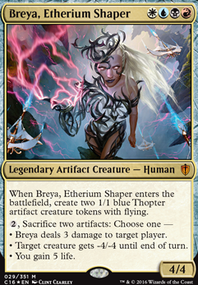 Much like how Force of Will in Legacy holds a lot of broken strategies in check. " "One thing that I found extremely interesting is that if you take the overbearing power of Eldrazi out of the equation, No Ban List Modern was actually less degenerate than regular Modern. Yes, decks were more powerful, but a lot of the powerful cards cancelled each other out. Games were actually fun, interesting and rich with decision points. I didn't get killed earlier than turn four a single time in the entire event, and most games I played lasted until turn 8-10 at the very least. Games actually felt a lot like playing Legacy, and there weren't any games in the event where I felt completely helpless to do anything against what my opponent was throwing out there." 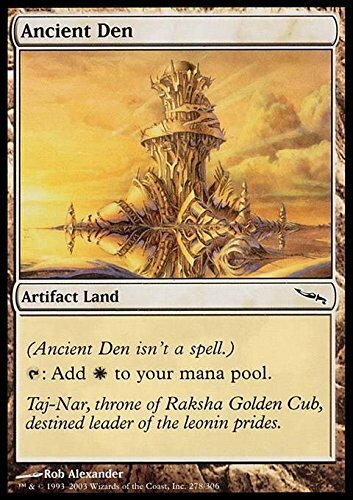 Eye of Ugin , Sensei's Divining Top , Dig Through Time Treasure Cruise , Gitaxian Probe ....5 cards of 33 hit his radar for "Cards that are definitly too good for modern"
"artifact lands like Ancient Den , did not seem to really matter at all in the games we played. 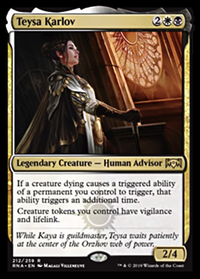 I would say an artifact-land based Affinity deck could probably end up being a decent strategy in the format, but then again, maybe not. 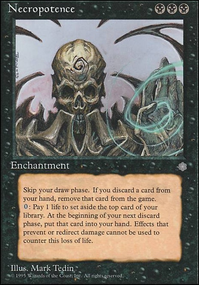 Affinity is not a great strategy in Legacy, and decks like Eldrazi, Dark Depths, and White-Blue Counter-Top were strategies that played at a near-Legacy power level. Affinity was just outclassed." with some of those points in mind i dont think a single tournement like this is enough data to conclusively say what decks would be out of control in the modern format. If Eldrazi was higher on the radar many people could have drastically increased their win percentage against the deck by doing something as simple as splashing for Blood Moon or adding Ensnaring Bridge to their sideboard....there is a lot of power here no doubt about it; but the answers exist. looks like I was mistaken about Simian Spirit Guide PlatinumOne... i did a google search and came up empty at least as far as this ban list timeline is concerned. Nevertheless its still a good tool to be used both in and against decks out there. 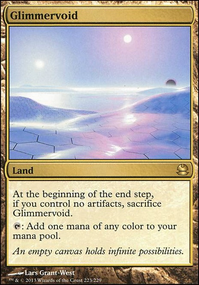 Will361405 are artifact lands like Ancient Den not able to by blown up with artifact removal like Crush / Nature's Claim ?